Acura is stepping up their sport game with the advertising for the new RDX. Comparisons to Integra Type R, and both NSX models, overlaid with Motorhead? This had better be a sporty crossover. And with turbo power and Super Handling all-wheel drive, there are some sporting credentials there. 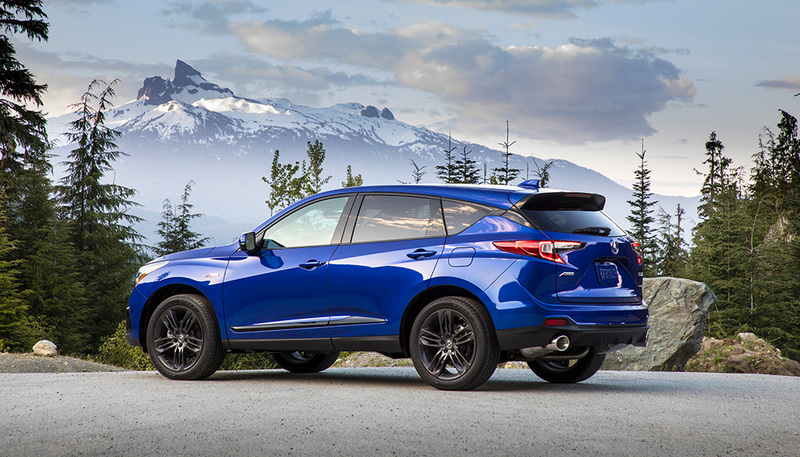 So does the 2019 Acura RDX deliver, or is some sympathy for the crossover all you’ll be left with? Walk up to the RDX, especially in the new blue paint, or white with black trim, and it certainly looks sporting. Sharp lines, deep creases, and the floating roof all give off a look that’s surprisingly bold in a world of dull crossovers. And the RDX wears Acura’s new Superman grille shield. 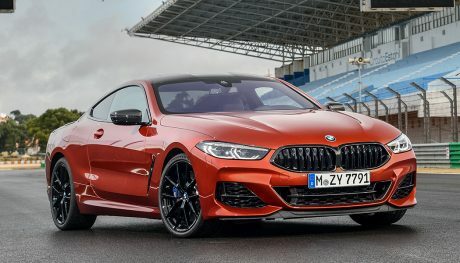 That’s so marked of an improvement over the beak of the 2018 model that it’s a shame that it took the automaker so long to make the switch. At the back, the boomerang taillights are as loud as the nose and the massive twin tailpipes popping from the rear bumper write a big performance check. The question is, can the drivetrain cover the bill? Last model’s 3.5L V6 is gone. In its place is a 2.0L four-cylinder. But don’t mistake two dropped cylinders for less power. The turbo four makes 272 hp and 280 lb-ft of torque. More importantly, it makes that peak torque from just above idle all the way to 4,500 rpm. It’s an impressively wide band of power. The engine also revs quickly, something the old V6, that felt sluggish, never could. And even though it has that wide swath of torque, peak horsepower is all the way up at 6,500 rpm. So this pulls like a naturally aspirated four, not a turbo’d one. Just with a lot more power. Keep the RPM down, which the 10-speed automatic does its absolute best to do, and this is a smooth and quiet engine. Start flapping the paddles, or toggle up Sport+ and the engine starts to sing. It might not be as smooth as the V6, but a little more noise is character. And character pays dividends when it comes to driver engagement. You want to know that the engine is working as hard as you are, and this one will tell you. In the normal modes, the 10-speed can be a bit sluggish to shift up or down. That’s especially noticeable on downshifts, where it can be necessary to drop five or even six gears to get acceleration on the highway. It does its best, though, and the fuel economy it returns is reasonable for the segment. Available Super Handling All-Wheel Drive is able to move torque from corner to corner and side to side in order to help reduce understeer and improve handling. The problem with a good torque vectoring system like this one is that you never really notice if it’s working. The vehicle just turns. Unless you’re tossing it into corners at track speeds, you probably won’t notice it in operation. Except maybe in the snow. And that’s the way it should be. The steering is typical for a modern electronic system, especially in a crossover. That means it’s somewhat numb. Tall SUV tires, even low-profile ones, contribute to that as much as the electronic rack. But the Acura RDX offers up good weighting and good turn-in that help keep it feeling interesting. 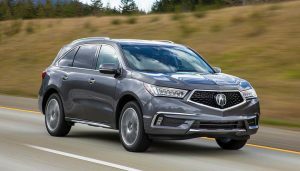 Acura has given the RDX a ride that’s on the firm side. 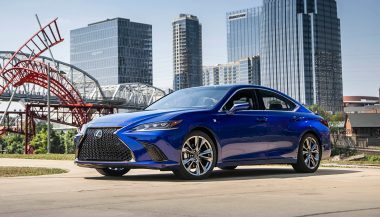 It’s not overly so on long highway cruising, where it will feel like the tall luxury sedan that it is. When you really start to toss it around, though, it will feel more sporting than you expect from something this big. Not that the Acura RDX is overly large, though. 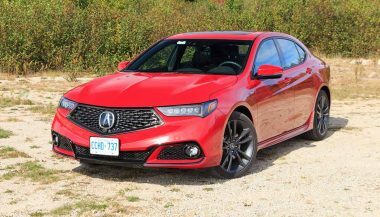 Acura has added a longer wheelbase to give you more space for passengers front and rear, especially rear, but this is still definitely a smaller crossover. The 29.5 cubic feet of cargo space behind the rear seat are good for the class and open up to 58.9 when the rear seats are folded. 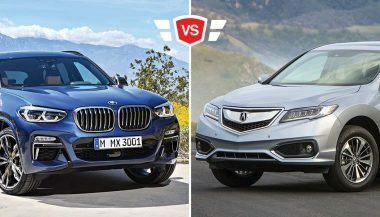 No matter how much sport the automaker wants to put in it, the Acura RDX is still a luxury crossover. That means that the interior needs to play the part. It starts with front seats that offer up to 16-way power adjustment. That includes adjustable bolsters and thigh supports. The A-Spec model gets Ultrasuede trim with contrast stitching and piping and it looks sublime. Acura offers up five different interior colours on the RDX, including a stunning bright red. It’s a bold choice, but one we’re glad exists. While the suede accents and wood trim look inviting and warm in this crossover, the drive mode switch and button shifter make for a strange looking center console. The push button shifter takes some getting used to. In operation, it was easy to not properly engage park, and other testers we spoke to noticed the same issue. The Acura RDX uses that strange shifter and drive mode switch to make room for the touchpad infotainment controls. Automakers seem to love pushing toward the touchpad over buttons and on-screen controls. And while they keep working on it, none manage to provide intuitive and simple operation. This one included. Fortunately, most of the controls are duplicated on the steering wheel. While that means that some of the many wheel buttons and switches can have more different movements than you might expect, they’re all fairly straightforward to use. Acura’s available 16-speaker ELS audio system offers up clean sound, but never quite matches the clarity, presence, and volume of competitor systems like the Burmester units Mercedes-Benz uses. 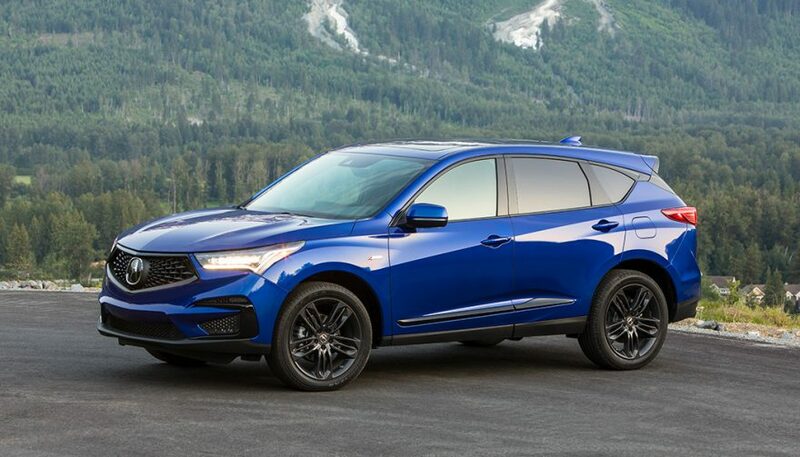 With the newly redesigned 2019 Acura RDX, the automaker has turned a somewhat strange looking crossover that never really seemed to find its stride into one that looks very much pointed at the sharp end of the segment. And while there are some shortfalls, like that infotainment system control, it offers up performance that matches the looks. Is it any kind of spiritual successor to an Integra Type R? No. But if you, like Acura, have grown up since that car was new, then this RDX is probably more up your street anyway.